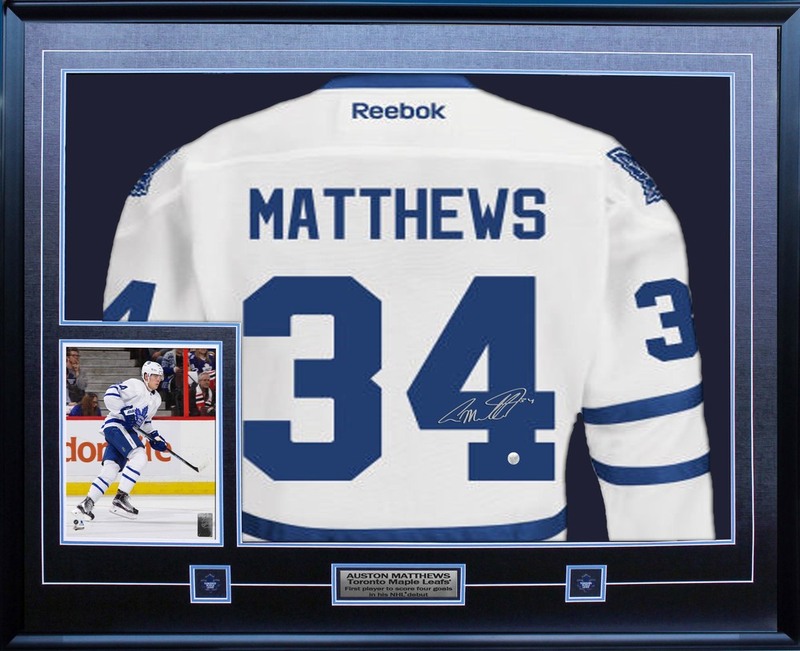 This Toronto Maple Leafs 100th Anniversary white RBK Premier logo jersey comes personally autographed by number 1 overall draft pick Auston Matthews and set in Frameworth's renowned jersey framing. After scoring 4 goals in his NHL debut Auston Matthews has quickly become a fan favourite. This jersey comes with an authentic autograph and a Frameworth hologram and certificate of authenticity to ensure the legitimacy of the signature. Frameworth typically stock L/XL but does not guarantee sizing. Frame Size: 36x42x2.5"